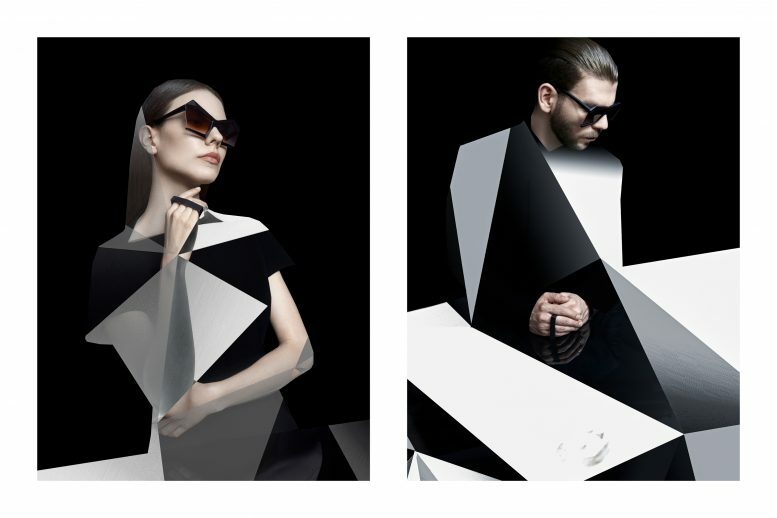 Inspired by architecture, Geometric Collection “Diamond Shades” are constructed with geometric precision strictly using converging lines that create perfect symmetry and optimize the relationship between angles and edges. 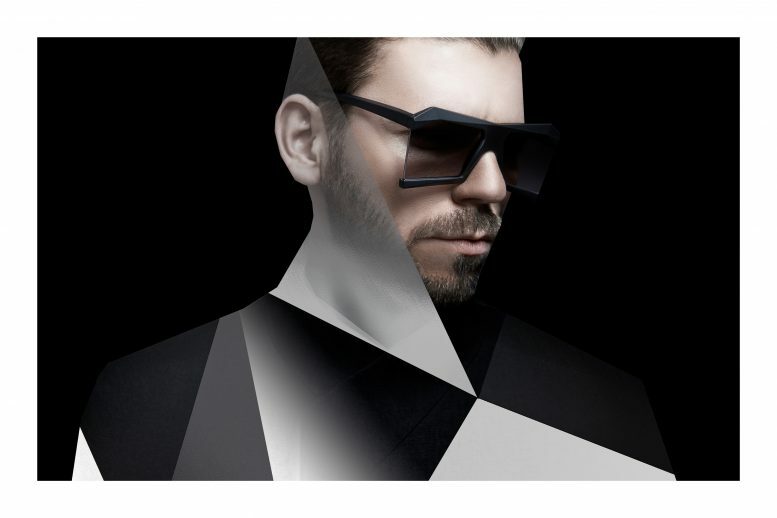 A limited edition collection has been developed by 13&9 with optician Martin Lasnik utilizing distinct contours and facets, produced with high-end quality craftsmanship, and made in Austria. As a result of innovative design concepts and a complex manufacturing process, including sandblasting and grinding by hand as well as the careful polishing of surfaces, the collection won the Product Design Red Dot Award as well A’ Design Award. Diamond Shades has also been placed internationally in limited quantities at selected stores through 13&9’s distributing partner, Robert La Roche. 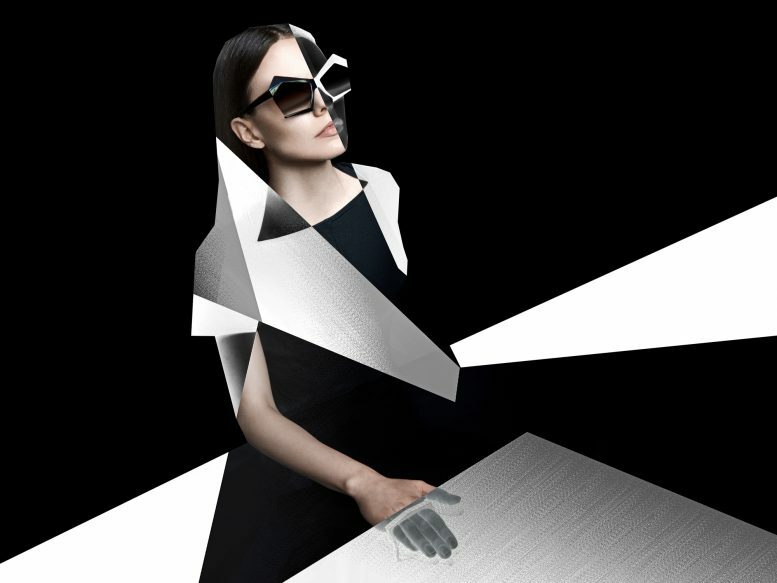 Highlighting the interplay between architecturally-inspired construction and fashion objects, 13&9 has collaborated with the German artist and photographer Sebastian Kapfhammer on a new photography series. Kapfhammer’s work is characterized by its technical aspects, controlled expressions and its combinations with creativity as an infinite process – presenting the facets of objects and making their imperceptible structures visible to the eye. By combining 2-dimensional analog elements in unconventional interfaces, he succeeds in bringing to light a fresh, different content. His concept begins with the smallest element of the existing design from which he creates a new digital dimension that is based on converted analog data from lines, forms, and depth. The result is the development of a fusion object, with an inverted 3-D effect which at first glance glosses over the original visual perspective and frees object to endless interpretations. 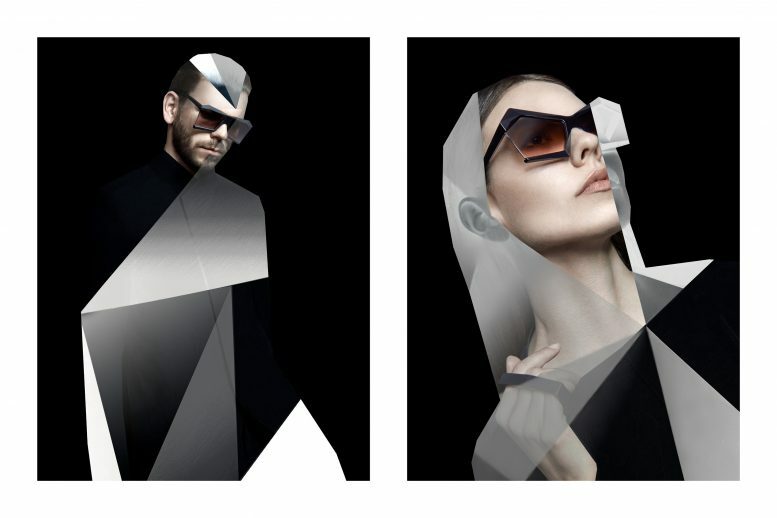 The process in this artwork series reflects the design philosophy of 13&9´s eyewear which seeks to create undetermined objects that break the angles between architecture, fashion and art pieces.